Contact Fr. Jack Clair or Kevin Connelly. 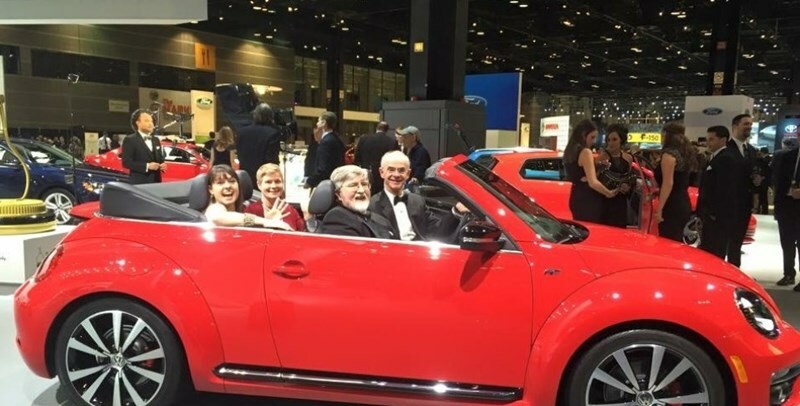 The annual black-tie affair provides attendees with a "first look" at the nation's largest auto show before it opens to the public, while supporting Misericordia and 17 other Chicagoland charities. Participants enjoy entertainment, hors d'oeuvres, champagne, wine and desserts while strolling the show floor that boasts more than 1,000 new vehicles, dozens on display for the first time. The Misericordia Women’s League hosts this sports-themed night including silent and live auction, Paddle raise, wine cork game, Misericordia Home bakery sales, squares raffle, all while viewing the NCAA Tournament games. Casual, sports-themed attire encouraged. 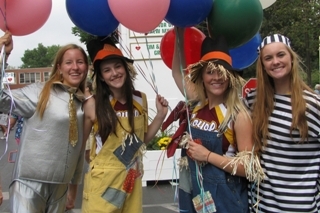 Misericordia’s Annual Candy Days are held the final weekend of April each year. 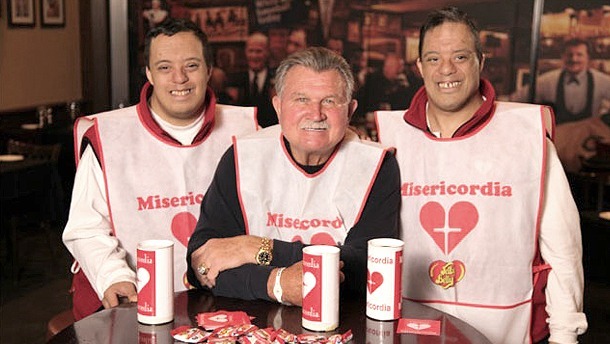 More than 10,000 volunteers and coordinators help spread the mission of Misericordia and collect funds throughout the city and suburbs during the two-day event. 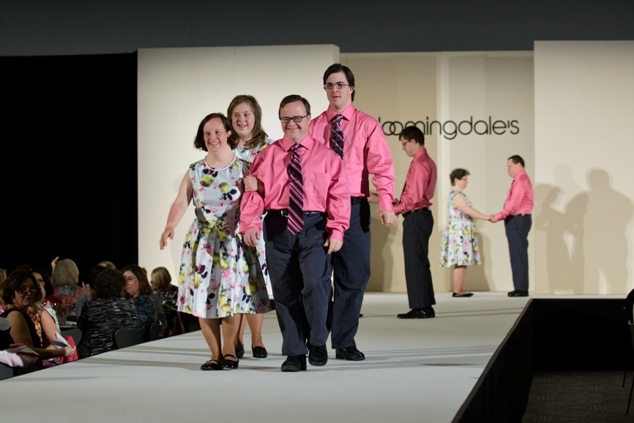 The Misericordia Women’s Auxiliary hosts the Spring Benefit Luncheon & Fashion Show, including an afternoon of fashion, raffles and lunch to help support the 600 residents of Misericordia. The Auxiliary partners with Bloomingdale’s throughout the year for this event. A silent auction and exhibition benefit hosted by the Misericordia Siblings Association features original works created by the talented Misericordia resident artists with the assistance of staff and volunteers. 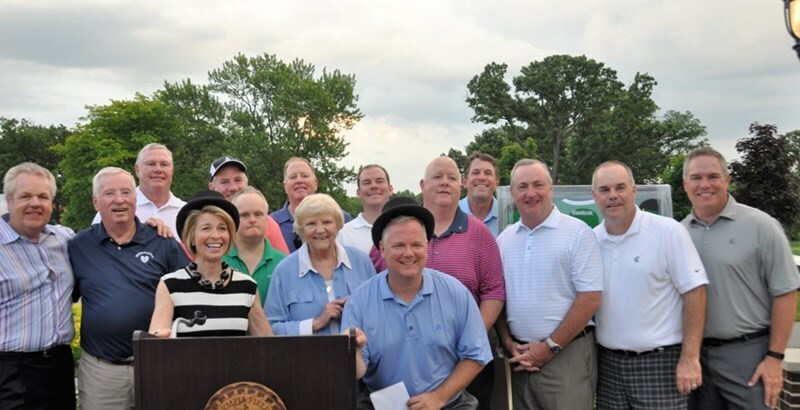 The Midwest’s largest charity golf outing, supporting services for persons with intellectual and developmental disabilities at Misericordia, offers breakfast, lunch and dinner, a live auction and 18 holes of golf for 600 people. 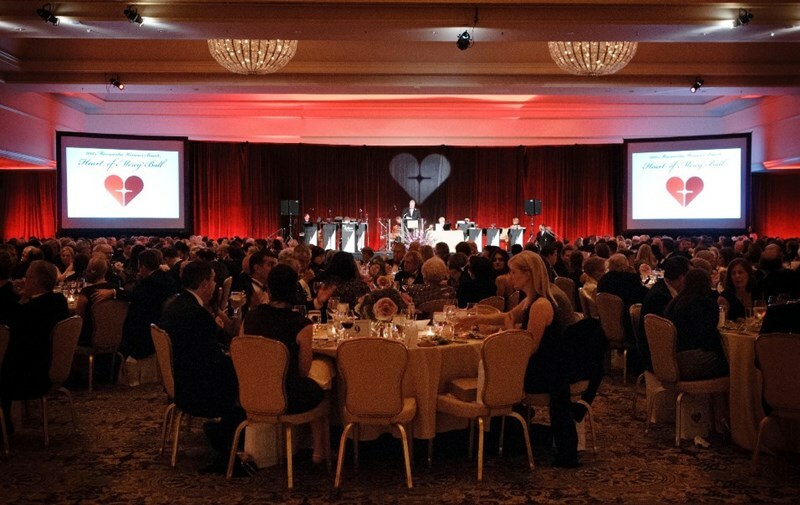 The Misericordia Family Association hosts the Dinner Dance at the Rosemont Convention Center each summer, including silent auctions, raffles and a paddle raise, dinner and much more! Come together for a celebration of great food and dancing. Family Fest welcomes over 10,000 guests and volunteers to the Misericordia campus each year for great food, entertainment, children’s games and more. This black tie event welcomes over 650 guests for a night of live and silent auctions, paddle raise, and cash raffle, while enjoying a delicious dinner and drinks set to the tune of live music. Each year, this event presents the honorees for the Heart of Mercy Award; the Sister Rosemary Connelly Service Medallion; and the Pillars of the Community Award their outstanding commitment to the mission of Misericordia. 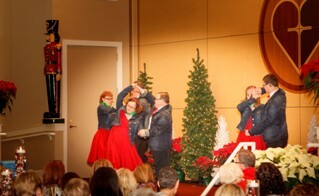 Each December, Misericordia welcomes family and friends to its campus for a delicious champagne brunch, holiday shopping, performances by the Heartbreakers and Heartzingers, and even a visit from Santa! All ages are welcome to join for these festive days to celebrate the holiday season. Misericordia hosts a number of significant events throughout the year. There are many corporate sponsorship packages that are visible to a broad spectrum of audiences. We believe there is significant value that is derived from being an event sponsor by one of our corporate partners. Customers and employees appreciate the important role their company plays in the community, by supporting worthwhile not for profit organisations like Misericordia. 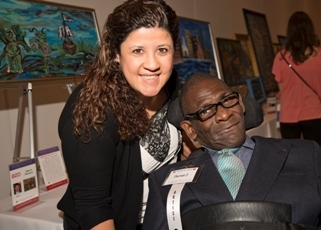 An association with Misericordia enhances the brand of Chicagoland companies given Misericordia's outstanding reputation for serving the needs of the developmentally disabled population in Chicago.